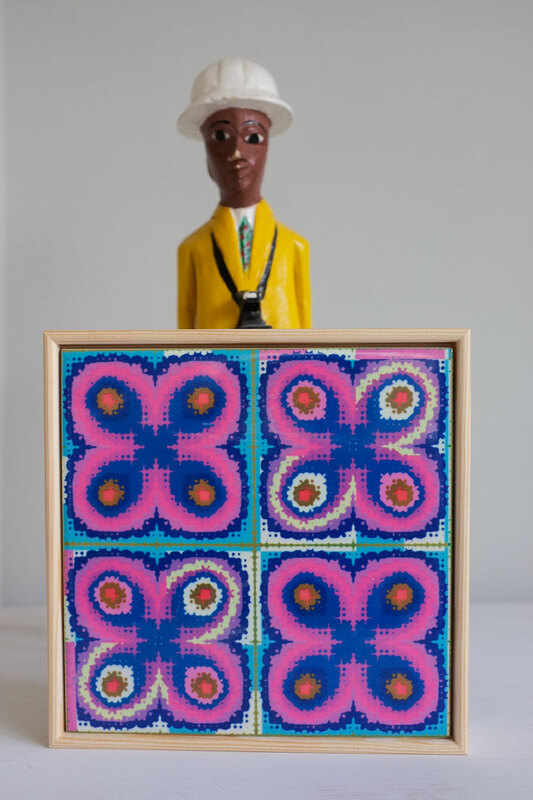 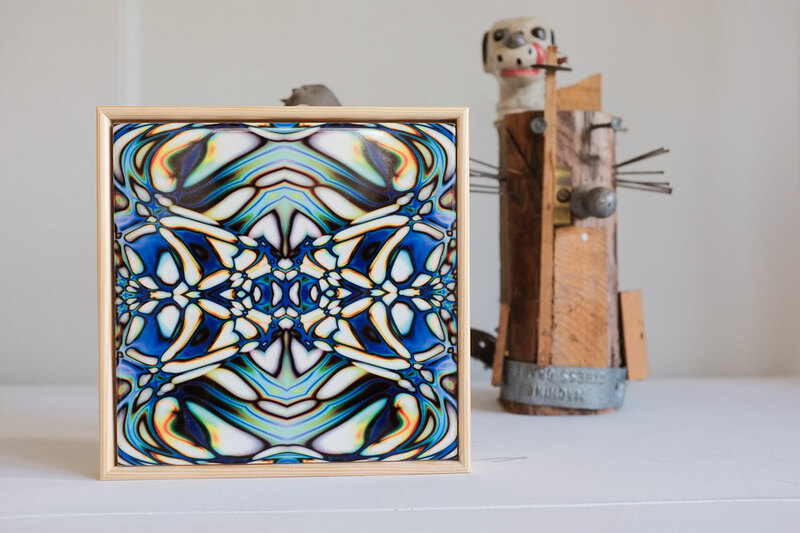 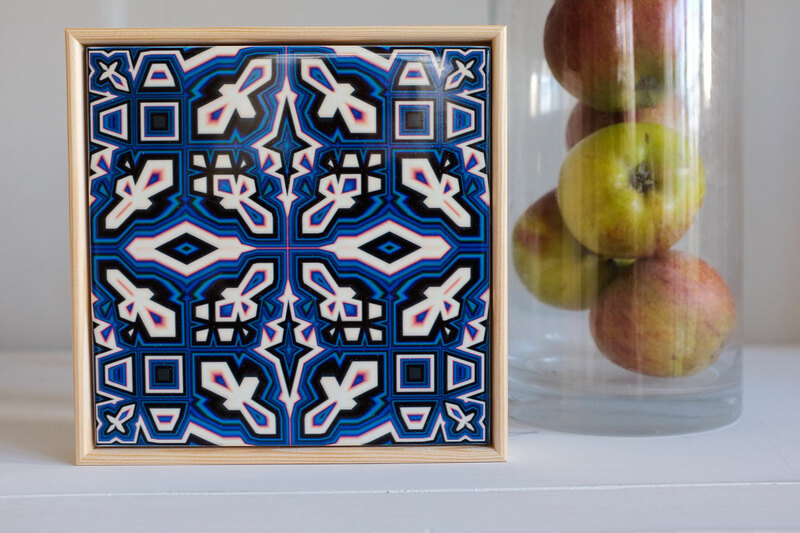 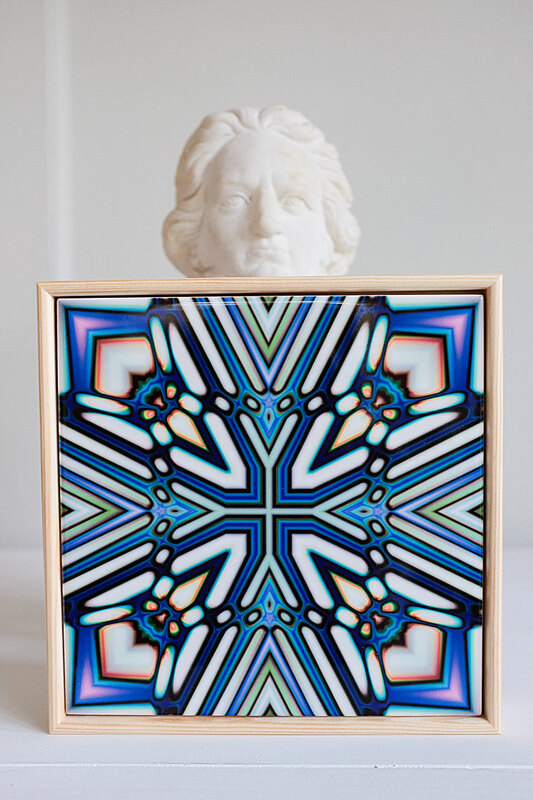 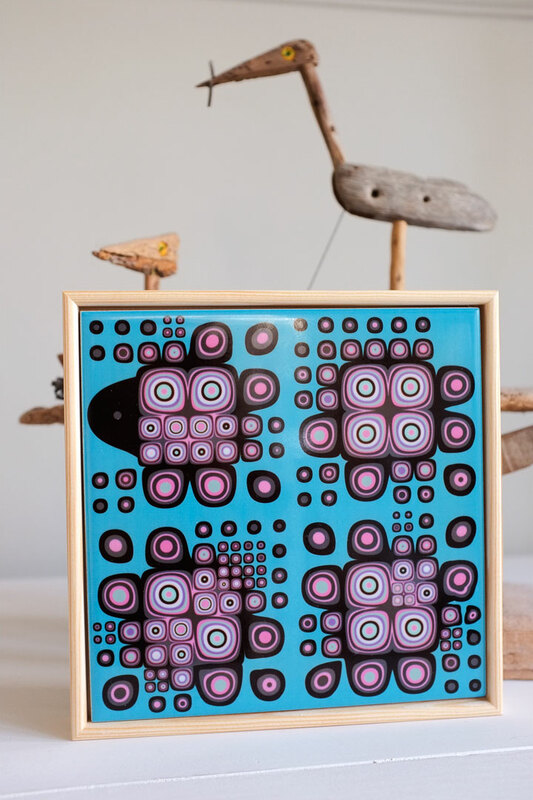 Jon Burgess Tiles are also available framed. 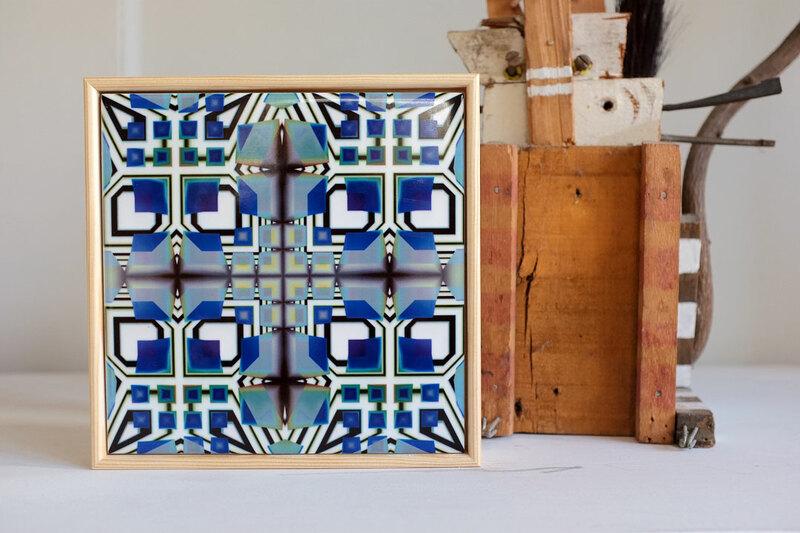 In fact they are at their best framed, the special tile frames serving to emphasise that they are, in effect, fine art prints on ceramic. 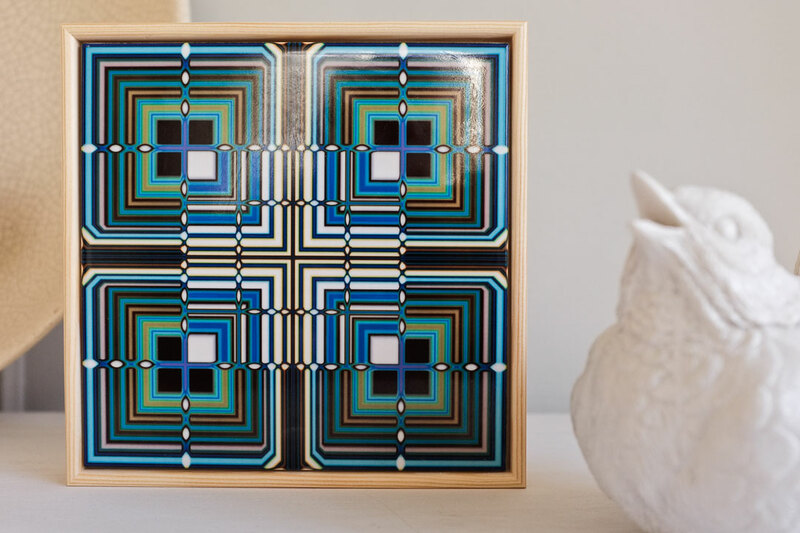 The frames are just over 6” x 6” (as they are made to hold a 6” tile) and 30mm deep, with a natural wood finish.